This is one of my most favorite desserts. It’s a turnover filled with a sweet, cinnamon-flavored pumpkin jam. 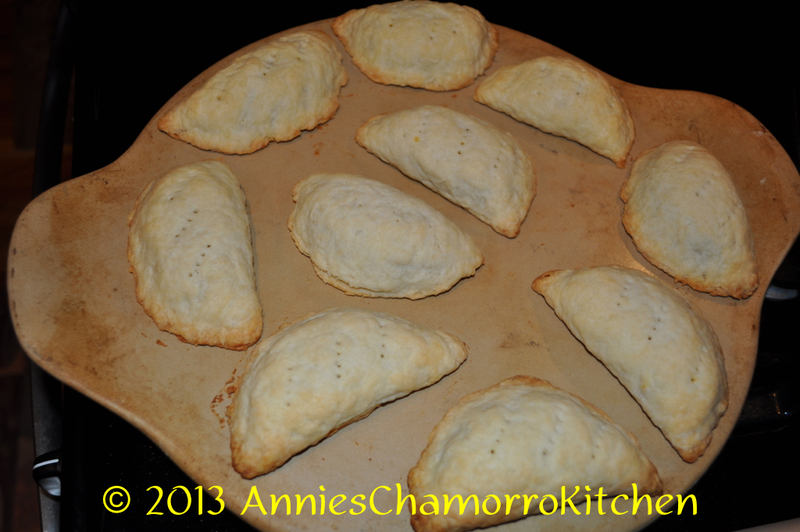 In Chamorro, Pastit is the term for a baked turnover. Buchi Buchi is the term for fried turnovers. 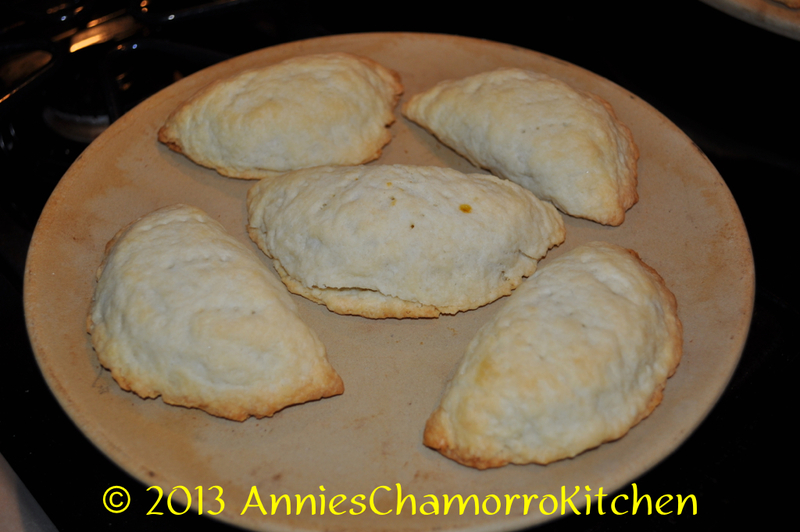 My recipe makes between 12-15 turnovers. 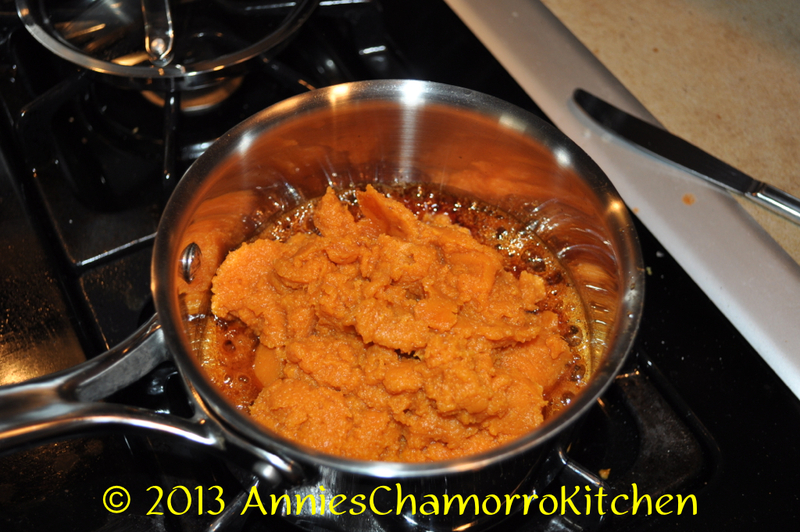 *Note: When you add the pumpkin to the melted sugar, it might SIZZLE like crazy! This is because the caramelized sugar is reacting to any remaining water in the pumpkin. When you mix the two, the sugar will actually harden and look like candy. 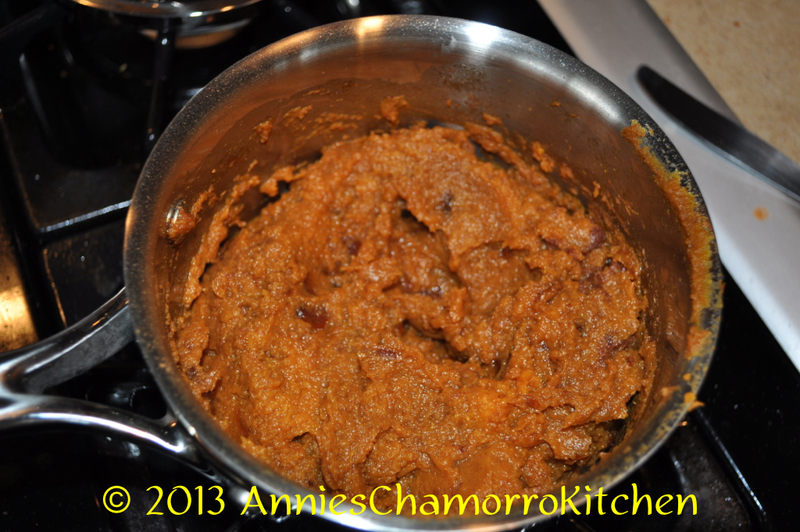 At this point, turn your heat down to low and cover your pot; cook the pumpkin jam until all the hardened sugar has melted. Stir frequently to prevent the bottom from burning. Allow the jam to cool completely before filling the dough. There are several ways to do this: you can use a pastry cutter, or if you don’t have a pastry blender, you can use two butter knives and literally cut the butter into the flour mixture. You can also use a food processor. Here is a neat idea I learned from a cooking show — freeze your stick of butter, then grate it using the largest holes of a box grater. Lightly mix the grated butter into the flour then place the bowl into the freezer for a few minutes to get the butter to be really cold again before adding the water. 2. 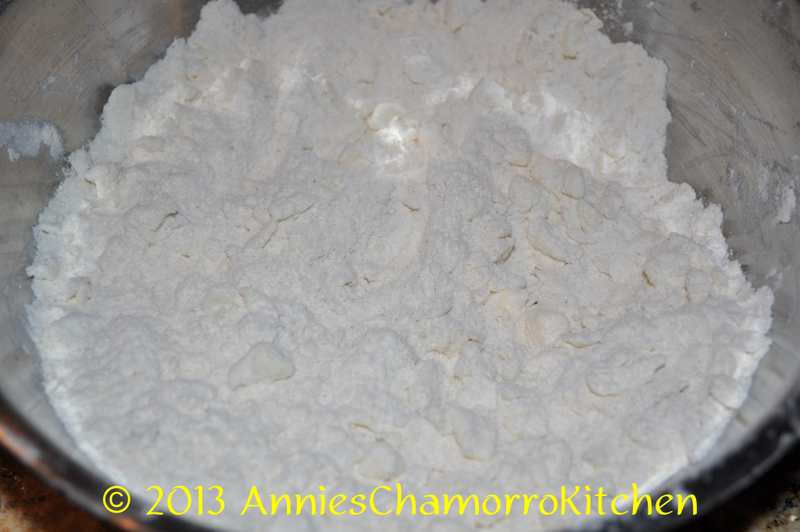 Add cold water to the flour-butter mixture, a few spoonfuls at a time, and gently mix (or pulse in a food processor). Stop adding water when the mixture starts to stick together and forms a dough. How can you tell if it’s enough water? 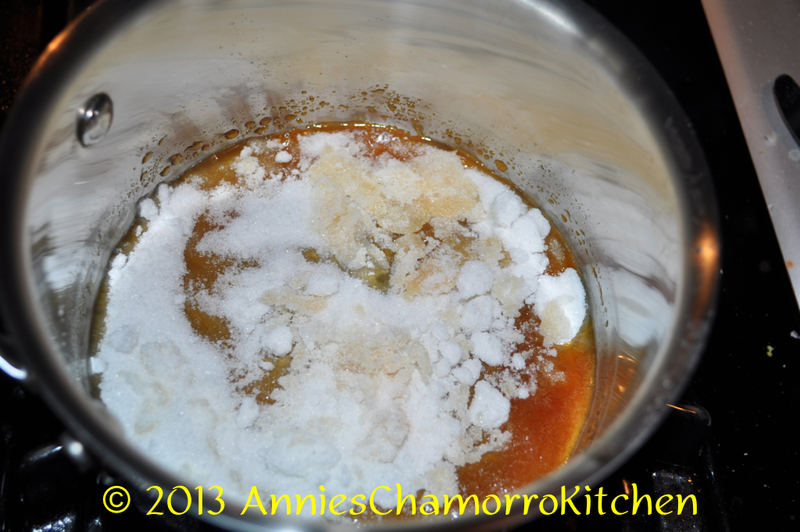 Scoop some of the mixture into your hand then squeeze it together. If the mixture holds its shape (no crumbs fall off), then you added enough water. DO NOT knead the dough at this point. You don’t want to handle the dough too much, and you most certainly want to make sure you still see bits of butter in the dough. 3. 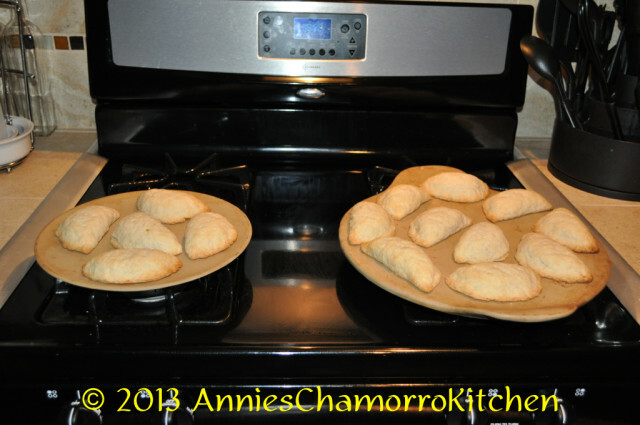 Make golf ball sized pieces dough; use a rolling pin to flatten each ball into a thin circle. 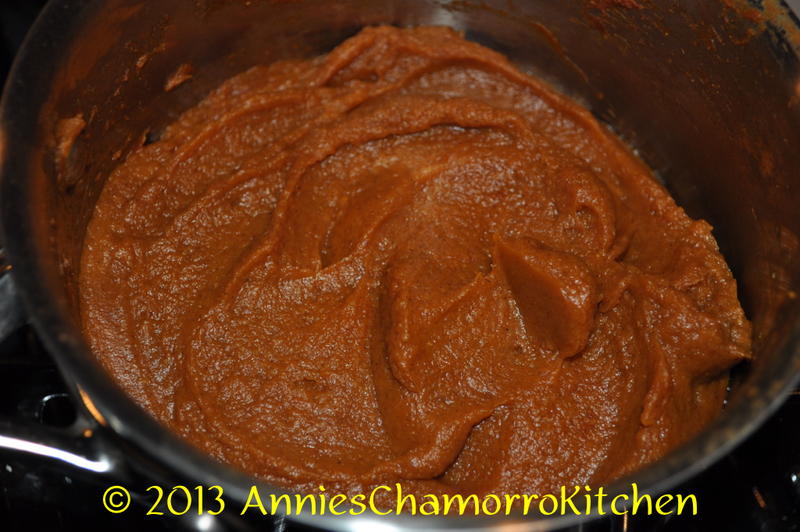 Add 2-3 tablespoons of pumpkin filling to the center of the dough; spread the filling out to about 1/2 inch from the edge. Fold the dough over and seal edges by pressing down on it with a fork.